A brief spoiler-free review of the 24-episode spring 2007 anime “Bokurano: Ours,” animated by Gonzo, directed by Hiroyuki Morita, and based on Mohiro Kitoh’s manga of the same name. I’m sure you haven’t given it much thought; to which, neither have I. None of us do, and yet here’s an anime where kids are told when they will die, how they will die, and that whatever they do with their final day is up to them. There is no running away from fate, it’s do-or-die time. However, I suppose my words would have more weight if I told you why. Allow me to backtrack . . .
Fifteen children are enjoying their youth together at a summer camp. It’s sun, sea, and, what’s this? A mysterious grotto by the shore? The kids explore the creepy cave only to find a strange setup of computers and monitors, along with an even creepier old man calling himself Kokopelli. Supposedly, Kokopelli’s been developing a game, one where the players pilots a giant robot to defend Earth against 15 different alien invasions, and all he needs now is willing players to test it out. Sounds fun, I mean, what could be the harm? By individually placing their hand on a scanner, the kids complete their contract and suddenly blackout. They awaken back on the beach. Other than the fact that night has fallen, everything appears normal. Normal, EXCEPT for the impossibly high 500-meter-tall giant robot now towering over them! In a horrific twist of fate, the children must now take to their seats to pilot Zearth one at a time in hopes that they have the physical strength and mental fortitude it takes to defeat the bizarre enemies. But Kokopelli’s abrupt disappearance leaves the afraid and confused kids with harsh truths they must discover on their own: What exactly is Zearth, and what is the giant robot’s energy source? Before I rip into the fantastic story of Bokurano, I wanted to address my biggest issue with the show right off the bat: the “antagonist.” Surely, even just by reading the synopsis something seems fishy. Where did Kokopelli go? Will he reappear later as the antagonist? It’s tricky for me to explain much of anything without ruining the surprise, but I can imagine that you, too, understand that there’s something else at play here. And here’s the thing: that “something” doesn’t really make much of an appearance. When director Hiroyuki Morita brought over the story from Mohiro Kitoh’s manga, even he felt that some of Bokurano was just way too damn sad (sources are all over the web confirm this). So he changed it, and I think that the force that moves the anime along was “left behind” in the process, either because it didn’t mesh well with Morita’s new story, or that there wasn’t enough time to explain it all (as is what often happens in anime). Don’t worry, this anime adaptation is still one of the most depressing things you’ll ever watch, but if the ending feels somewhat incomplete, it’s because *frustratingly* this is not the same ending intended from the start. Systematically, we bear witness to pilot after pilot fight their battle and depart from the scene. Where do they go, what happens to them? Ready for a dose of reality? ***SPOILERS for the first couple episodes, but they die. That’s all there is to it. There’s no glory, and no reward. Once you’ve served your purpose in prolonging the planet’s safety, no longer are you of any use to Zearth and Koemushi, a cruel and sadistic ABOMINATION whose job is to circulate this cycle of death and inevitably select the next pilot. Bokurano is thrilling up until the very end, even if it is hard to watch these poor kids undergo psychological torment to no end. Either it was super interesting to watch or, subconsciously, I wanted to quickly put them out of their misery, but I just could not put Bokurano down for a second. Oh, and be prepared to have your guesses as to who’s next get smashed, as even the seemingly “main” characters are not spared from Koemushi’s wrath. A lot of early 2000s anime don’t hold up very well in today’s day. Bokurano is no exception from this. The show’s characters can look pretty rough on the eyes, and other than the robot fights, Gonzo’s animation is kept to a minimum, resulting in too many dialogue scenes and conversations that don’t seem to end. On those robot fights though, man—Bokurano’s got some of the most engaging, exciting, strange, and truly colossal mech fights that the genre has to offer! Unlike a tedious game of “My gun is bigger than your gun,” a real amount of strategy is required to pilot a robot that essentially has no controls—just your mind. Sync with Zearth, tell it what you want to do, and it will likely perform the feat even if its mechanical structure has to be reconfigured entirely. Just as how we know more about the cast as we go along, we come to see Zearth’s true range of abilities, and understand why it is able to put up such a good fight. I wanted to briefly mention the chairs, though. You know, that eerie circle of unique chairs inside Zearth’s pilot chamber. 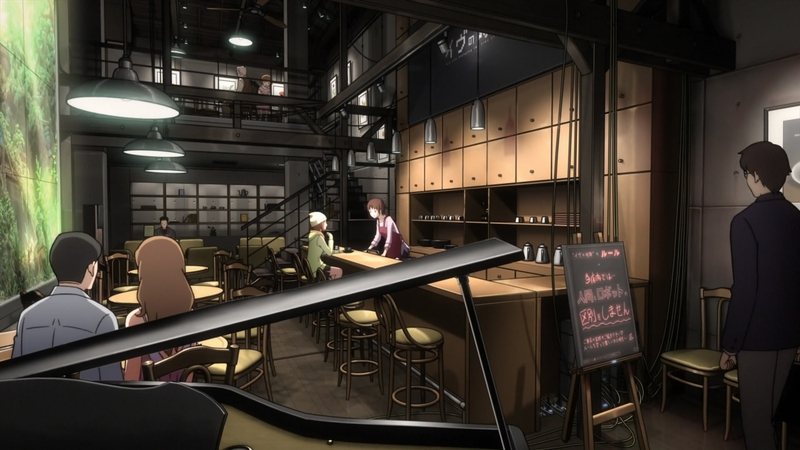 The chairs are how the pilots enter and exit Zearth, and without their genius iconography, works like Madoka Magica may not have that extra special “Shaft” touch. A single object or location can tell an entire story—and these chairs encompass both of those categories. Whenever I see Daiichi, Komoda, or Chizuru’s chairs, I immediately recall their struggles, their emotions, their story, which is absolutely wild given that they’re ultimately just furniture. Where do you spend most of your time sitting? How does that area represent who you are as a person? While the main OST doesn’t offer much in the way of me thinking, “Oh yeah, that’s Bokurano!” Chiaki Ishikawa has absolutely dominated the sound department with her amazingly addictive OP and two excellent ED themes. “Little Bird” and especially “Vermilion” are rich with a somber quality to them, but “Uninstall” ranks up there as one of my favorite OPs of all time for its epic melancholy, sorrowful lyrics, and ability to call to mind all of the beauty and tragedy in Bokurano. Could you put enough pain on a single person to change the human heart? Short answer, yes, but the road to such change can be messy, frustrating, and completely exhausting. Bokurano‘s main interest comes from the constant curiosity of where the story is headed next. What will ultimately stick with you, however, are the hearts left behind along the way, and the stories that succumbed to tragedy—or the few that ended with a glimmer of hope. As characters exit the stage one by one, their vacant seats are left to inspire the next chosen hero. At one point, these chairs had a warm body that sat in them, that thought about their place in the world, and that struggled to come to terms with their fate. Although its visuals are dated and some of its background plot points could’ve been fleshed out better for the finale, Bokurano still holds fast as a gem of its genre, reminding us that everyone suffers—but we that can still be saved. I’m not familiar with this one at all. I don’t mind a throwback though, and to be fair, I don’t mind miserable anime either. I mean, I really enjoyed Casshern Sins, at least. I may yet check this one out. Worth. I was so stoked when this got a US release (was OOP when I first heard of it). Did not regret in the slightest. I love dark anime and this one delivers in spades. I immediately picked up the show following completion, even if it was a DVD sub-only release. Yes, absolutely worth it Jon!! Really? Well, I shouldn’t be surprised, as it was from 2007. Anyway, I’ll bet you’d enjoy it, going off of what shows I believe we both enjoy. And funny that you mention Casshern Sins—I was just about to start watching that, but ended up going with Texhnolyze (not sure how I feel about this one yet, haha). Defs check out Bokurano Matt! Thanks for reading! I’ve read about Technolyze but not had the opportunity to see it. Texhnolyze is, hmm, an odd duck. Reminds me of Ergo Proxy, another really, really weird show. It belongs to that dark, warped, early 2000s sci-fi era when anime started to explore the effects of such a dystopian world on its characters’ psyche. To be honest, I’m having a hard time following along, but I do hope to get through it in one piece! I actually own Ergo Proxy. It was indeed odd at times, but I quite liked that one. Really enjoyed this one. 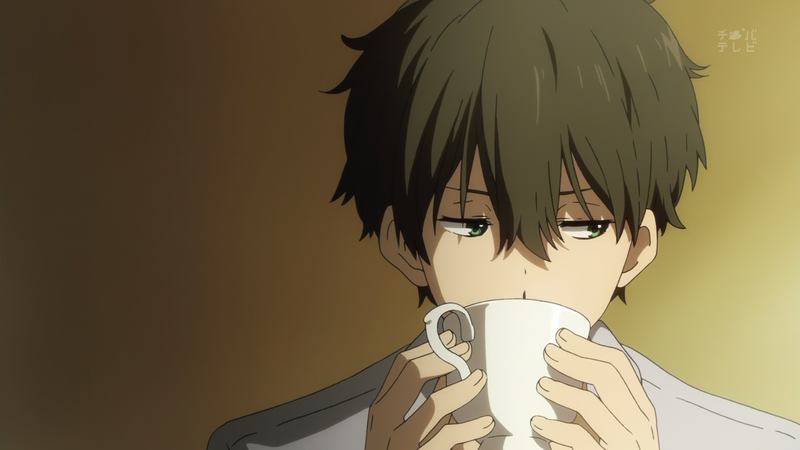 A lot of people don’t like it because it deviates from the manga, the director didn’t like it, but who cares? It was still a very good show. Speaking of Madoka, I’m not sure based on what you wrote if you knew this, but they actually reference this show in that one with Madoka having a bunch of chairs in a room. I thought that was pretty rad. I was actually planning on picking up the manga because of how unsatisfied I was with the ending (I mean, c’mon, ultimate “antagonist,” if you could call them that, doesn’t even show up in the end? ), but many volumes in the series are out of print. The series would cost me a lot to buy, and I’m not quite sure if I’m ready for an investment yet; what I got with the anime was certainly good enough. Yes, Madoka’s room of chairs, that was the scene! Thanks a bunch Jon—always a pleasure chatting with you~! Yeah, anything Rampo is super hard to get ahold of it seems. I was lucky to get access to just one of his translated books. Anytime 🙂 Enjoyed the chat as well! I loved this review as much as I loved this show (which to put your mind at ease is a lot). I reviewed this one a long time ago in the early days of my blog. The things that stuck by me the most was the incredibly dark vibe this series had as well as the OP (I loved that song, and it got completely stuck in my mind 😊). One of the things that I really dreaded every time was when the chairs started spinning again. It almost felt like you were watching a game of Russian Roulette. Fantastic series and one of my alltime favorites. Great post! Oh wow, thank you so much Raistlin! I can imagine this show sticking with me for along time, and YES, the OP, I blare it whenever and wherever I go! Russian Roulette is such a great comparison—there was no one character excluded from piloting next, “main” or not. The emotional heaviness behind this series and its characters should not be a weight carried alone, so I’m really glad we could talk about it! Many thanks again~! Still, great review. You definitely capture the essence of this great show. Thanks Scott–Glad you enjoyed it!